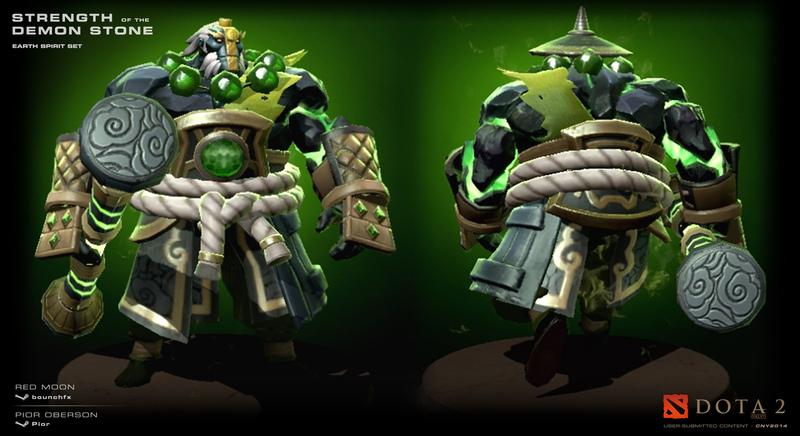 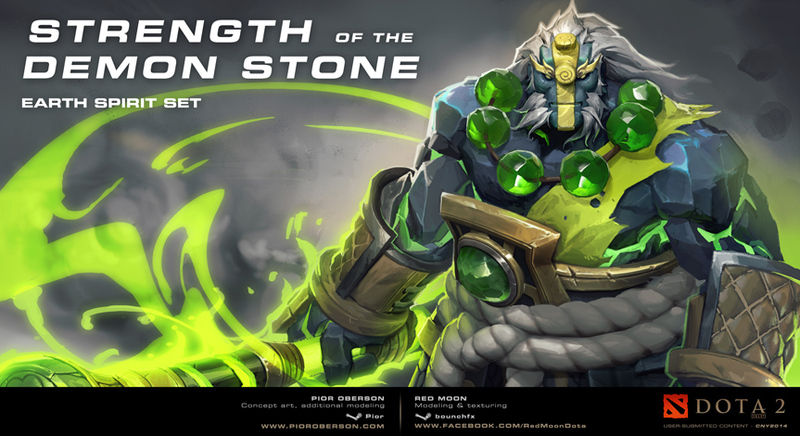 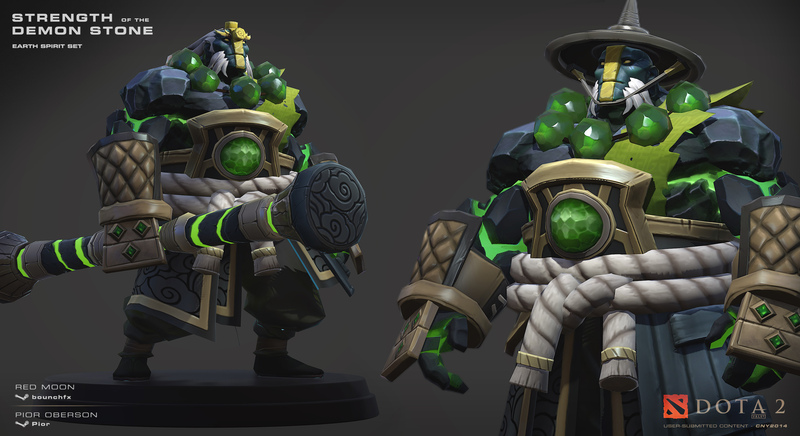 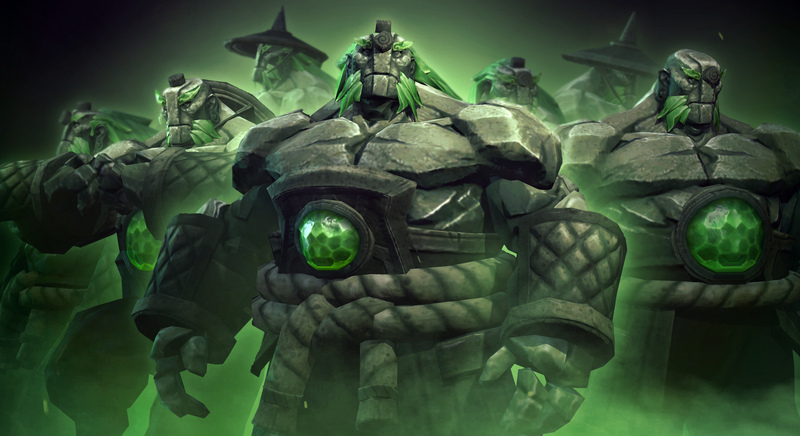 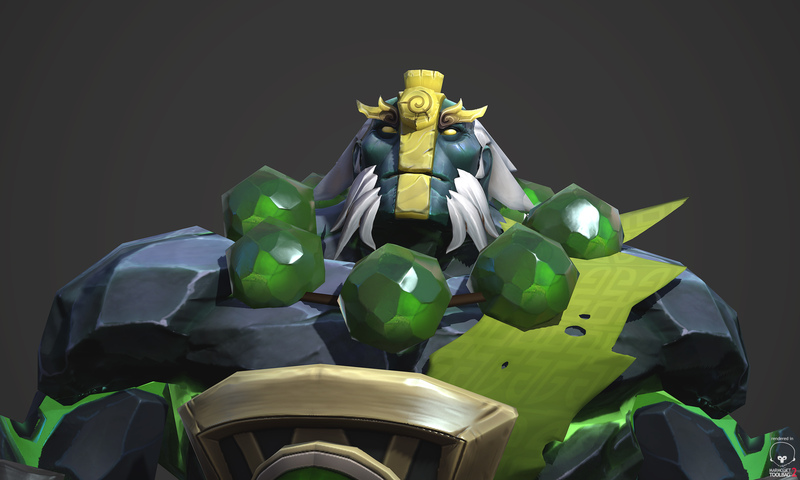 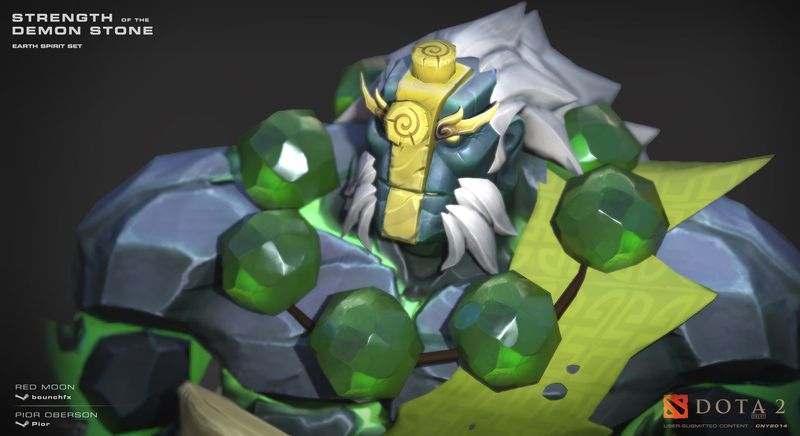 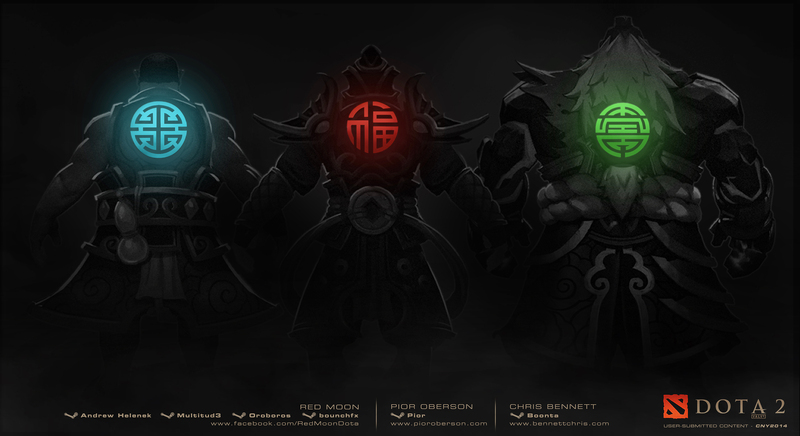 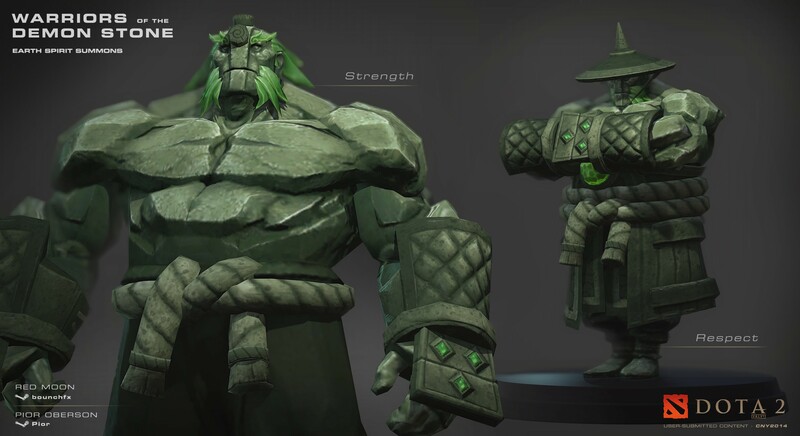 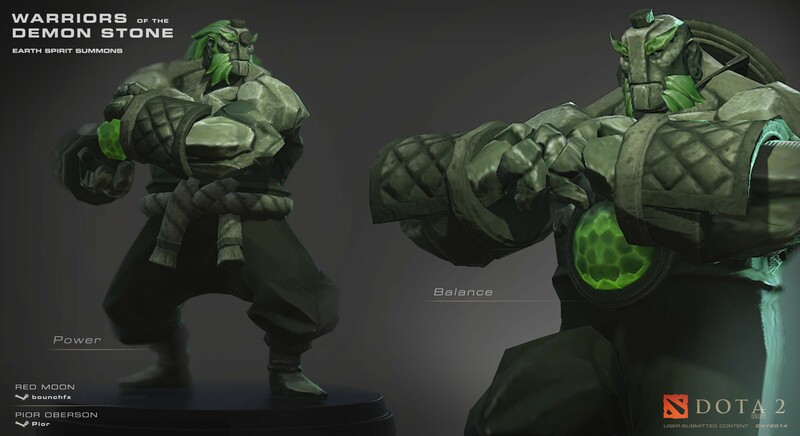 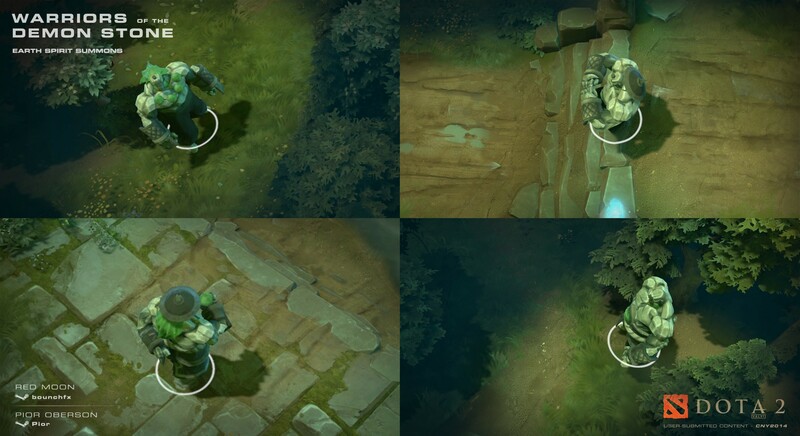 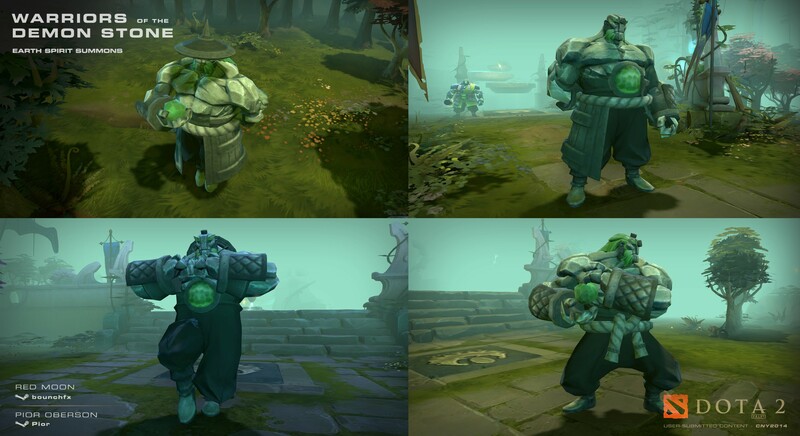 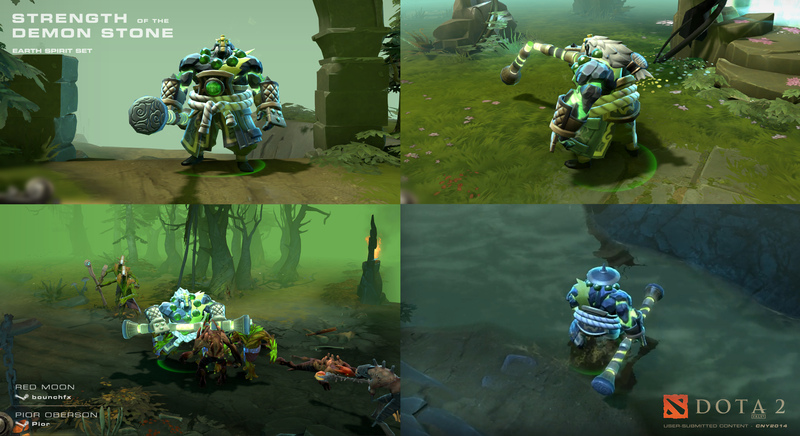 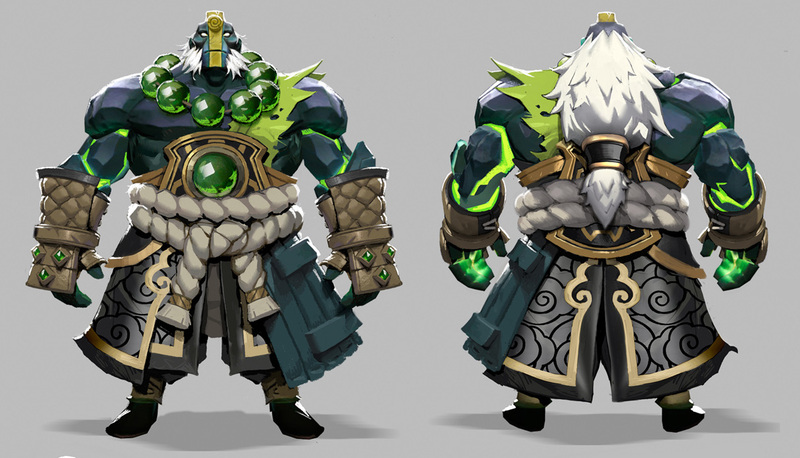 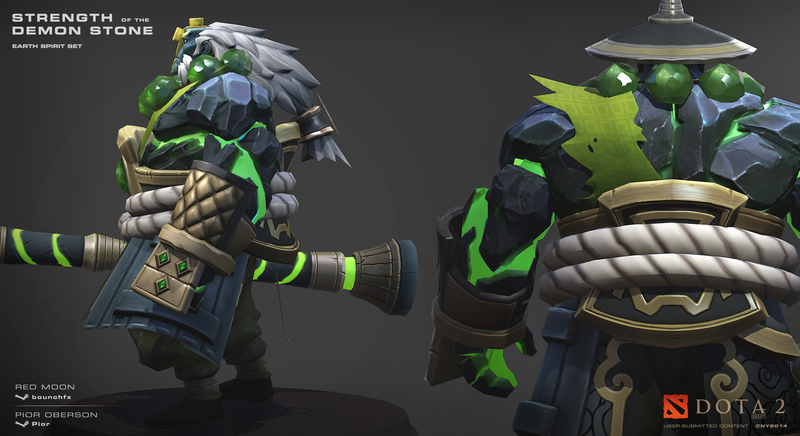 A set for Earth Spirit created in collaboration with Brent ‘BounchFX’ LaDue from the Red Moon Workshop. 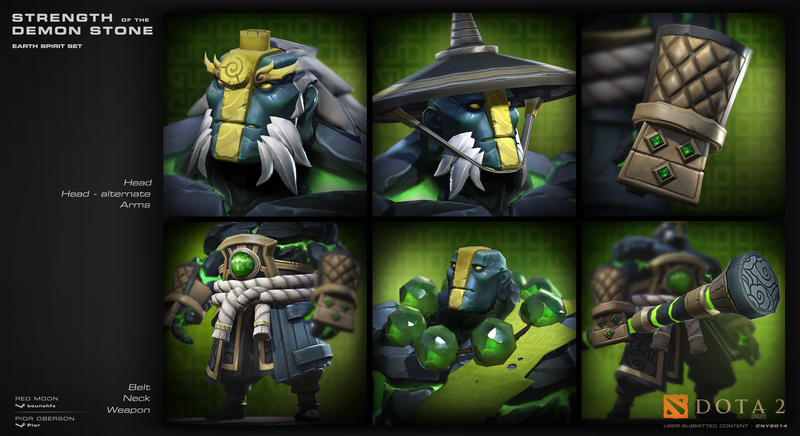 This set is part of the Three Virtues Bundle, a collection of sets themed around the Chinese new year for an in-game event organized by Valve, “New Bloom”. 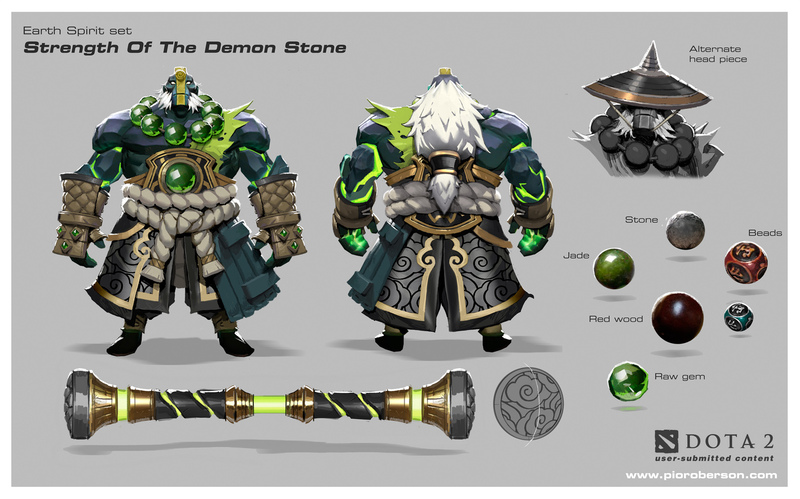 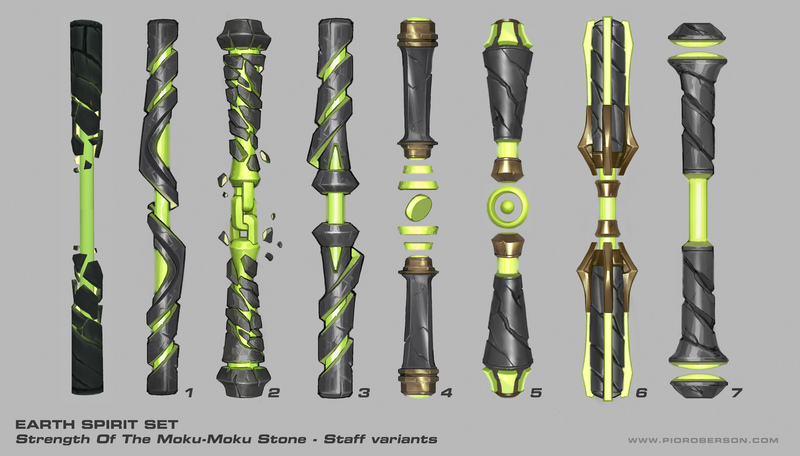 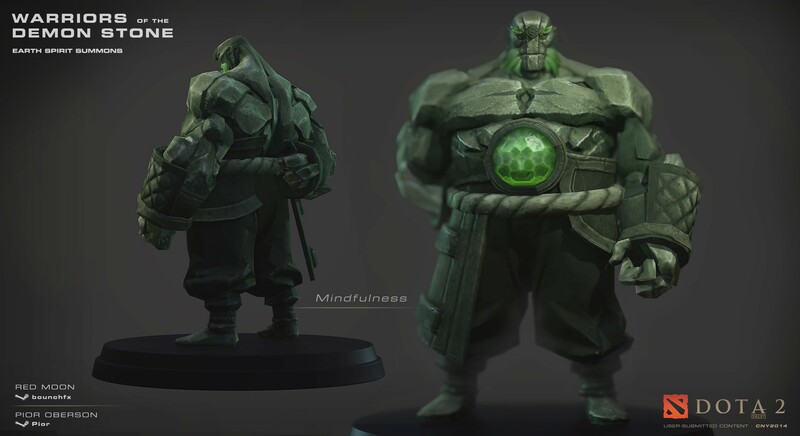 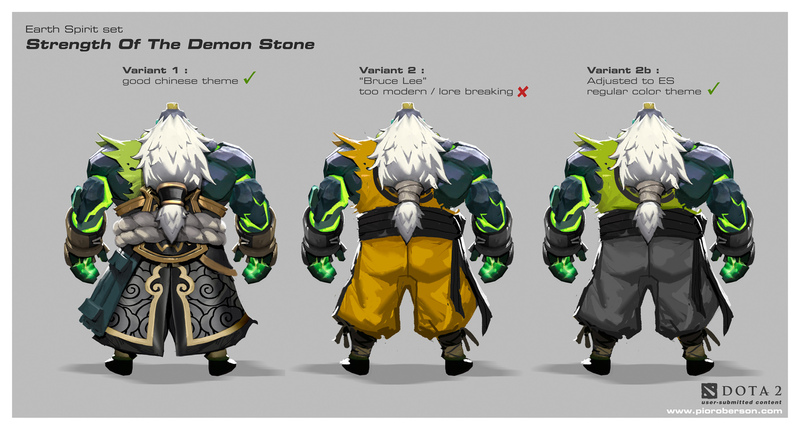 I took care of creating concept art and promotional material like the composite illustration shown above partially painted on top of the final game model, as well as custom stone remnants with poses. 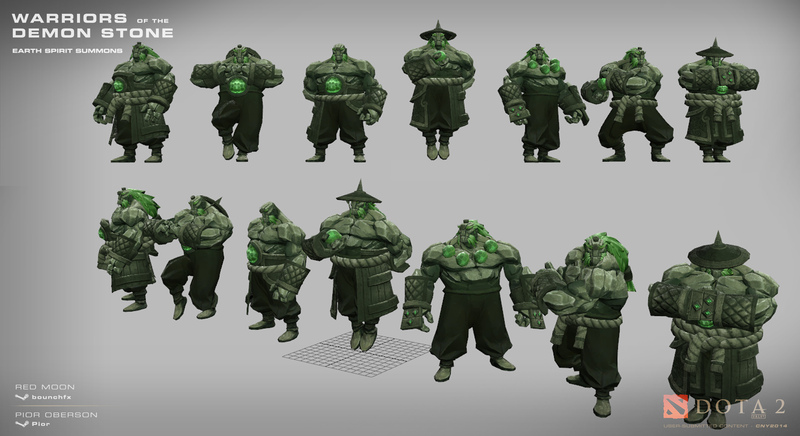 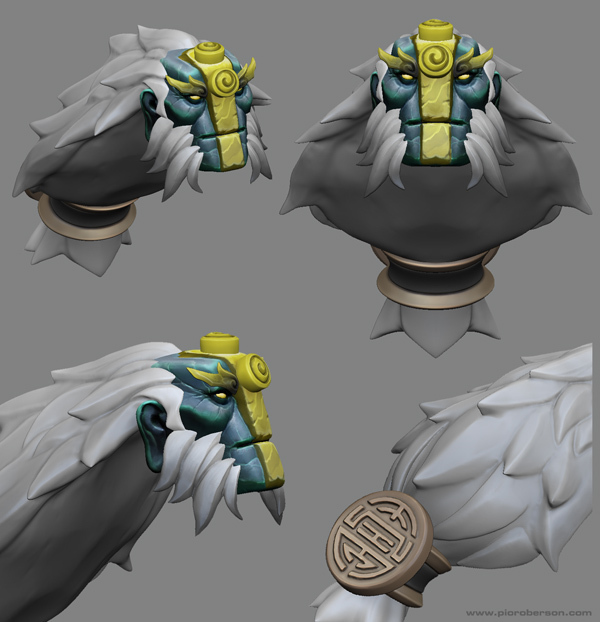 I also took part in some of the highpoly sculpting, lowpoly modeling, UV-mapping, and texturing processes. 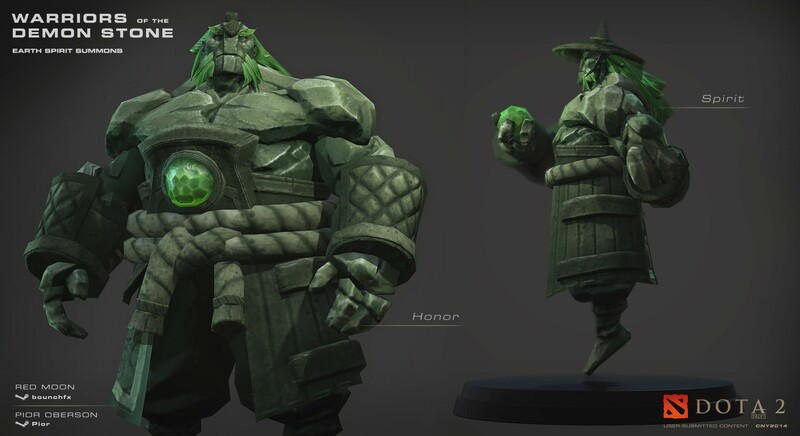 Brent LaDue was incharge of high resolution Zbrush sculpting, maps transfer, texturing, and final ingame lowpoly and rigging.